Busy and boisterous mid evening mostly attracting younger folk - I sat at a table by the billiard table and didn't enjoy my beer. Goody Ales - Bleangate Brewery - Genesis 3.50 Insipid malty syrup - vile! Unsure if it's meant to taste like that hence one sip and the rest went down the sink in the Gents. Lunchtime visit as a drink stop on a cycle from Canterbury to Greenwich. A good few people in but not overly busy - I really liked the pub - good beer selection, reasonable prices a good estuary view from the first floor outside decked area - oh, and they have a bar billiards table! Iron Pier - Rytes 4.50 I don’t usually like flavoured beer - but the hint of ginger in this was fine. A very nice pint. Evening. Mildly busy. Got in conversation with a fellow collecting branded beer glasses then a local CAMRA big wig told me local Draught Copy magazine will next be out at end of the week. Early Saturday evening and a good crowd in (which is more than can be said for the pub next door which looked almost empty). I sat and enjoyed my pint in a good friendly pub. Mid-evening, before taking the bullet train back to Stratford. Truman's - Somersault 4.20 Pale, full-bodied, sharply-fruity. Early lunchtime visit and not yet busy. I liked the feel of this pub; multi-roomed, and an astonishing slope to the floor in the main bar, and the great maritime photos and prints in the middle bar. 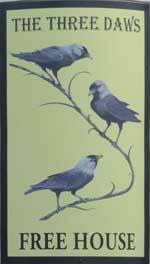 Rockin Robin - RPA 3.90 Full-bodied, golden, Pale Ale. Good stuff. Evening. Well appointed and warm inside. Pub quiz in action. Nautical feel. Early evening busy with folk of all ages. Dartford Wobbler (re-named from Millis) - Dartford Wobbler 4.30 I didn't need to be in Dartford to wobble! Early Saturday evening and doing a good trade. Friendly and enthusiastic bar staff made this an enjoyable visit. 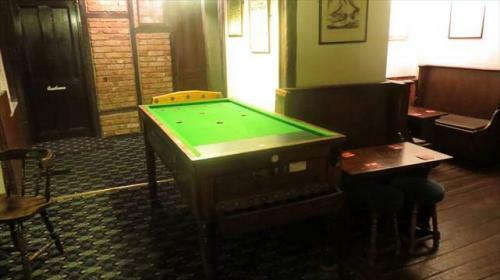 The pub is found in Gravesend, Kent, DA11 0BJ. 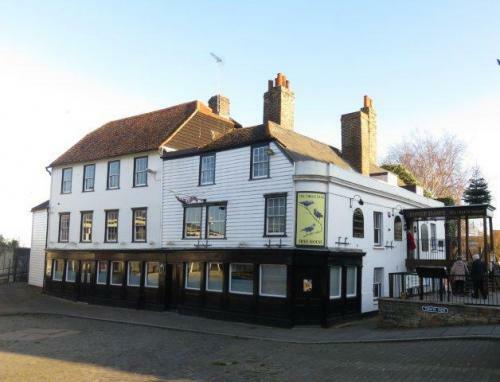 Large historic multi-roomed pub dating from 1488, it has marvellous views of the River Thames and the Town Pier. Entrance is up some wooden stairs from the road. Multiple drinking areas. Food is locally sourced where possible. 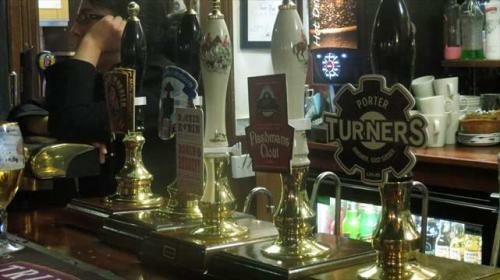 6 handpumps on the single bar counter. We have visited this pub 9 times, seen 34 different beers and tried 8 of them.